We ensure accurate, balance, effective and objective coverage and reportage. 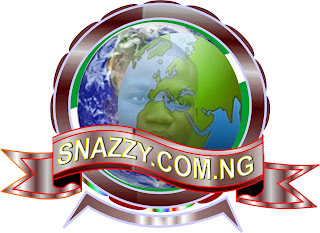 You can visit the website at www.snazzy.com.ng for your latest information. For prepay advertisement, if you have a write up, News story, Photos, you wish to publish on Snazzy.com.ng you can contact me on this Email Nyiterandrew@gmail.com or send message/Call +234(0)8123036268. Please your mental and financial support is important, thank you. Visit our website and be informed before you be deformed.